The story begins at the corner of the Piazza Venezia in Rome in 1925, where there was a small Fendi boutique and, next door to it, a fur and leather workshop, owned by Edoardo and Adele Fendi. By the 1930s they had expanded the business considerably. But the true protagonists of Fendi's success are their daughters-Paola (b. 1931), Anna (b. 1933), Franca (b. 1935), Carla (b. 1937), and Alda (b. 1940)-who made the Fendi label famous throughout the world. All five daughters began working in the family business at an early age-between fifteen and eighteen-assuming different responsibilities as required. In 1964 they opened the office on the via Borgognona in Rome, with a large picture of their mother, Adele, in the entrance. In 1965 they began their collaboration with Karl Lagerfeld, the designer who, together with the Fendi sisters, helped develop a renewed interest in furs. During this time, the famous black and brown double "F," one of the first company logos, was created. What Are the Most Expensive Handbags? During the second half of the 1950s, ownership of a fur garment was the dream of many women, but following the social changes that occurred in the 1960s and 1970s, fur came to be seen as old-fashioned and bourgeois. An illustration by the well-known painter Giuseppe Novello, outstanding illustrator of Italy's postwar bourgeoisie, shows a woman at two different stages of her life. In the first image she is young and thin and wears a fitted coat. In the second she is weighted down by the years and stuffed into a large fur. The caption reads "When I first started wanting a fur coat … and when I finally had one" (Novello, p. 32). 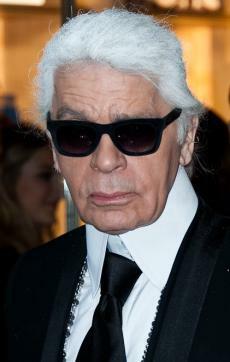 Lagerfeld, under the sisters' direction, experimented with materials, patterns, finishes, weight, tanning methods, and colors, so that furs would be seen as something completely new, supported by advanced technological craftsmanship, suited to the needs of a public that wanted more accessible and wearable fashion. In 1966 he scandalized the fashion world by introducing color as a design element: "A colorful fur coat that was not precious but original" (Aragono, p. 92). One of the characteristics of the Fendi label is the company's unusual way of working with traditional skins. Fendi designers were continually experimenting on furs and in 1969, with the introduction of their Pret à Porter line, besides the exclusively artisan manufacturing, Fendi succeeded in producing a product accessible to the ordinary consumer: beautiful furs at a limited price. Fendi used furs that were considered to be of "poor" quality, which the company then reworked and reinterpreted, and expensive skins, such as fox, ermine, mink, and astrakhan, which it transformed using different finishes and colors, so that they no longer were seen as stiff and conservative but as fashionable outerwear. The same approach was used in the treatment of leather, especially handbags, which although they were luxury items, were made more versatile through the addition of printed patterns, unusual colors, and new designs. In 1968 Classic Canvas was launched, an alternative to leather; then striped colored rubber-beige and black-that became Fendi's classic colors. In 1977 Fendi introduced a line of ready-to-wear, known as "365-a dress for every day of the year, for a woman who wants her fur and purse to match her dress." (Villa). In 1978 they brought out a line of shoes, produced by Diego Della Valle. In the 1970s Fendi also launched new artisan-made lines: Giano, Astrologia, Pasta, and Selleria, all in limited edition and numbered. When Adele died in 1978, each of the five Fendi children took over a different part of the business: Paola was primarily interested in furs; Anna, in leather goods. Franca handled customer relations, Carla coordinated the business, and Alda was responsible for sales. 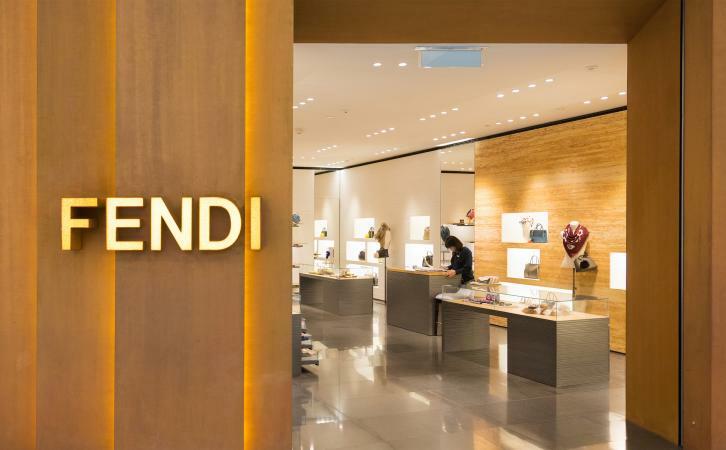 In the 1980s, as was the case with many Italian fashion houses, Fendi underwent a period of considerable expansion, involving product diversification and especially licensing. A wide range of products now bore the Fendi label-sweaters, suits, jeans, umbrellas, clocks, ceramics, and household decorations. Stores and boutiques were opened around the world. In 1985 Fendi even produced the uniforms for the Rome police department. That same year they launched their first perfume. In 1987 they introduced the Fendissime line, conceived by the third generation of the Fendi family: Silvia, Maria Teresa, Federica, and Maria Ilaria Fendi. The new line included sportswear, furs, and accessories for younger buyers. In 1989 they opened their first store in the United States, located on Fifth Avenue in New York City. The following year they introduced a men's perfume and ready-to-wear line. In 1997 they began making a series of handbags that quickly became cult objects. The most famous is the Fendi "Baguette," inspired by the shape of French bread, and conceived by Silvia Venturini Fendi. A small, minimalist jewel produced in a wide range of materials from horsehide to pearls, in six hundred different versions, it was an extraordinary success, chosen by Madonna, Julia Roberts, Naomi Campbell, and Gwyneth Paltrow. A special baguette called Lision was produced in limited edition, embroidered with an eighteenth-century loom at the speed of only five centimeters per day. The Rollbag, which was wrapped in a transparent case, followed in 1999. The Ostrik bag appeared in 2002 and the Biga Bag, favored by Sharon Stone, in 2003. Silvia Venturini Fendi, together with Karl Lagerfeld, pursued the Fendi tradition of research in furs. For their Winter 2003-2004 collection they launched, among other furs, the "Vacuum Persian Fur," that is, a fur put into a PVC packaging, a fox fur cut into small stripes and then reassembled with small rubber bands, and depilated mink coats. Meanwhile a number of licenses that had weakened the company's image were sold and Fendi focused on its core business, leather and fur. The Dark Store is the Fendi concept store based on the company's realignment. Dark Stores could be found in Paris, on rue François 1er and in the Galeries Lafayette on boulevard Haussmann, and on Sloane Street in London in the early 2000s. Also in the early 2000s Silvia Venturini Fendi, Anna's daughter, was in charge of the style department as creative director of accessories and Man's Line. In 2001, after considerable legal maneuvering associated with the mergers and acquisitions that typified the fashion world early in the twenty-first century, Fendi became part of the LVMH group, a giant in the world of luxury goods. Over the years Fendi has designed costumes for both cinema and theater and has worked with a number of directors, including Luchino Visconti (Gruppo di Famiglia in un Interno 1975, L'Innocente 1976), Mauro Bolognini (La Dame aux camélias 1980), Franco Zeffirelli (La Traviata 1983), Sergio Leone (C'era una Volta in America 1983), Lina Wertmuller (Scherzo), Marco Ferreri (Futuro di Donna 1984), Dino Risi (Le bon roi dagobert 1984), Liliana Cavani (Interno Berlinese 1985), Francis Ford Coppola (The Godfather III 1999), Martin Scorsese (The Age of Innocence 1993, a film that won the Oscar for costumes, in which Michelle Pfeiffer was wearing Fendi furs designed by the costumist Gabriella Pascucci), and Alan Parker (Evita 1996, starring Madonna). Wes Anderson's Royal Tenenbaums (2001) featured a fur coat worn by Gwyneth Paltrow, that became popular. See also Fur; Karl Lagerfeld; Leather and Suede; Tanning of Leather. Aragono, Bonizza Giordani, ed. Moda Italia: Creativity and Technology in the Italian Fashion System. Milan: Editoriale Domus, 1988. Bianchino, Gloria, ed. La moda Italiana. Milan: Electa, 1987. Laurenzi, Laura. "Fendi." In Dizionario della moda 2004. Edited by Vergani Guido and Gabriella Gregorietti. Milan: Baldini and Castoldi, 2003. Novello, Giuseppe. Sempre più difficile. Milan: Mondadori, 1957. Villa, Nora. Le regine della moda. Milan: Rizzoli International, 1985.